While the Winter Weather Advisory has expired for North Texas, freezing temperatures continue in the region. 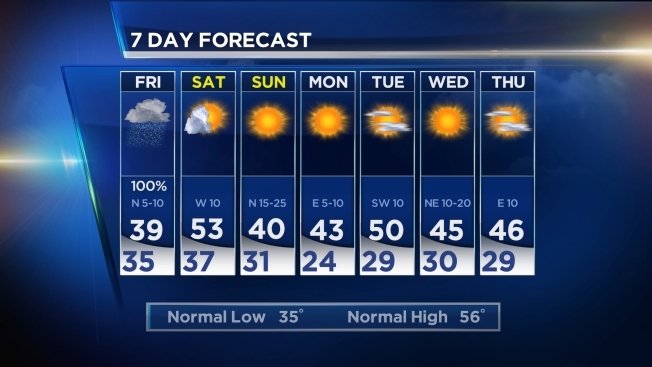 According to NBC 5 Chief Meteorologist David Finfrock, freezing temps are still being reported from Weatherford and Decatur westward, and more rain is on the way. With temperatures right at freezing, North Texans can expect more ice build-up on trees, guardrails, parked cars and power lines. But drivers shouldn't expect any more ice build up on the roads. For our far Western counties, David tells us to expect more freezing rain which could become heavier on Thursday night. 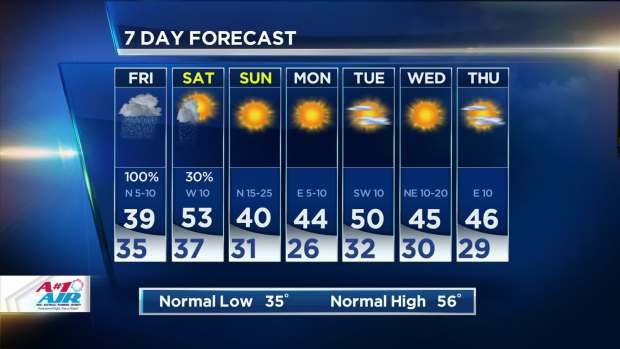 But no ice is expected for the Dallas/Fort Worth area. Areas west and north of the DFW Metroplex received some ice on elevated surfaces like signs, guardrails, trees and cars as freezing temperatures mixed with rain overnight. In Wise County, Decatur police said there were no major incidents resulting from the weather. TxDOT Fort Worth District, which serves 9 counties including Wise, pretreated many bridges and overpasses before the system arrived. “Motorists are advised to drive to the conditions if they must travel,” Lopez said. Afternoon forecast for Thursday, January 1, 2015. As of 7 a.m. Thursday, 140 departures and 128 arrivals were canceled at Dallas/Fort Worth International Airport. Five flights were also delayed. At Dallas Love Field, four flights were canceled and four more were delayed. NBC 5's Johnny Archer, Jane Geelan-Sayres and Jocelyn Lockwood contributed to this report.